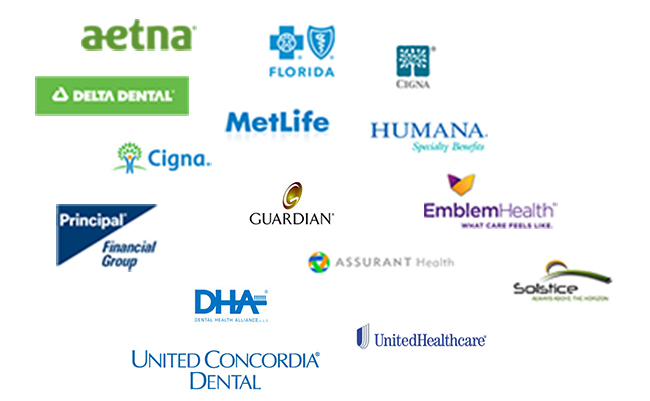 Our office accepts most PPO dental insurance plans. (However, our office does not participate with HMO or DHMO plans, as we find that they are generally not designed with the patient's best interest in mind.) Please call or stop by our office with any questions you may have regarding your insurance plan. Also, please be sure to confirm that you have dental insurance, which is not the same (nor combined with) medical insurance. If you are unsure, please call us at (703)207-3000 and we will be happy to review your insurance card with you over the phone. At your first visit, your insurance card and an ID will be copied into your file. To ensure efficient and full processing of insurance claims, please provide full dental insurance information over the telephone prior to your first appointment. By doing so, our office will be able to verify your insurance benefits accurately and completely prior to your arrival, to make payment and decision-making more convenient for you or your dependent. Please note that there is a significant difference between medical insurances and dental insurances. With a medical insurance plan, patients may be accustomed to only paying a flat or fixed "co-pay" for medical services, with the rest of the payment being made by the medical insurance plan. With dental insurance, a patient may not pay anything for regular cleanings and exams (usually twice a year), but any "restorative" (e.g., fillings or crowns) may have 20% or 50% covered by the insurance plan, with the balance being paid by the patient. Also, dental insurance has annual limits on how much the dental insurance plan will pay. Once that annual benefit is exhausted, the patient will owe for any additional amount. The annual limit is relatively low compared to the limits of medical insurance. Most plans have an annual limit of $1,000 to $2,500. Finally, dental insurance companies make their determination to pay on a submitted claim only after receiving it, going through their list of exceptions and exclusions, and sometimes only after their dental consultant reviews and approves the claim. Therefore, all information and estimates that our office puts together for a patient are "estimates only". We appreciate your understanding and cooperation when it comes to working with your insurance plan and benefits. Our office works with thousands of patients, each who may be covered by slightly different benefits and coverage amounts. If you are especially sensitive to coverage concerns, we encourage you to contact your insurance company and ask for information that will be specific to the insurance contract that you (or your employer) signed up for. Where insurance benefits can not be determined before your appointment, our office may ask you to pay in full for services rendered. Then, either you will receive reimbursement from your insurance carrier directly, or we will receive it and will then promptly refund you any balance due to you as a result of that payment. At all times, the cost of treatment, whether believed to be covered by insurance or not, is the responsibility of the patient receiving treatment. If our office does not participate with your insurance plan, as a courtesy, we will provide you with all documentation necessary for your to send a claim to your insurance carrier as well as provide information and answers to questions that you may have. Why Are Procedures Sometimes Not Covered? Dental insurance companies sign contracts with employers to cover certain procedures (or categories of procedures) but not others. Employers choose whether they want to offer "Cadillac plans" or just basic coverage. Even though two people may have dental insurance from the same company (for example "Aetna" or "Metlife"), their coverages or benefits may be very different from each other. That's part of the reason why dental offices like ours may be able to get basic information, but can not get every detail about a patient's insurance plan, considering we see so many patients per day. Within those contracts that insurance companies sign with an employer, insurance companies create certain rules that are meant to keep their costs down as much as possible. One way that insurance companies do this is by pushing their customers to get "band aid" treatments instead of long-lasting solutions. This is like your auto mechanic using duct-tape to patch a car problem that you may have, rather than covering a long-lasting replacement of a problem part. After that "band aid", the insurance companies hope that enough of their customers will switch to a different insurance plan. What Are "Downgrades" for Fillings? Amalgam fillings are made up of liquid mercury combined with an alloy of tin, silver and copper. This semi-soft metal is pushed into a hole made after a cavity has been removed by a dentist. Modern dental offices normally do not place amalgam fillings (and have not for many years) because there is no seal that is possible from an amalgam filling, and "leakage" is almost a certainty. However, because amalgam fillings are covered by insurance companies at a lower price than composite fillings (tooth-colored plastic/glass material placed and light-cured), insurance companies almost "pretend" that an amalgam filling was (or could have been) used, and then pay based on their downgrading. This means that even though a dental office actually placed a composite filling, an insurance company sometimes pretends that an amalgam filling was placed, and then pay based on the lower-cost amalgam filling. Many of our patients have flexible spending accounts which typically have a "use it or lose it" condition for the end of each year. Our office is experienced in helping our patients to maximize your flexible health spending accounts. Please call or visit the office to inquire about maximizing your FSA or HSA accounts. Also, please note that our Fairfax dentist office policy is to not accept assignment of benefits for "Secondary Insurance". We will gladly provide all documentation necessary so that you can submit your claim and obtain reimbursement directly from your secondary insurance carrier. In addition to other factors, we have found that processing secondary insurance claims regularly becomes an impossible task, which can last many months or even years. A large part of this appears to be due to the fact that there are at least four different parties involved (the insured patient, primary insurance, secondary insurance, and our dental office.) It has been our experience that the process is greatly simplified by removing the dental office from the various communications and that this typically makes the process much simpler for covered patients.